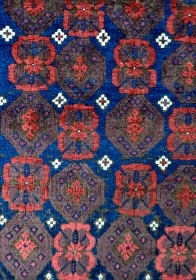 Shahsavan Mafrash panel - 1'10 x 3'6 - 56 x 106 cm. 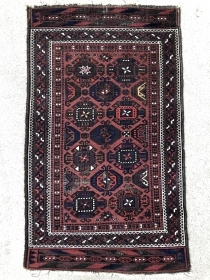 Antique Baluch rug with quite unusual field and border - 3'11 x 5'10 - 118 x 176 cm. 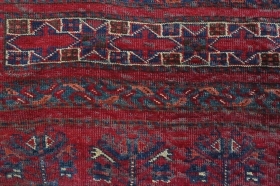 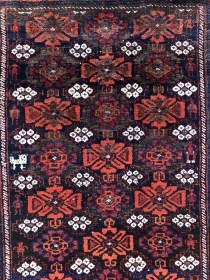 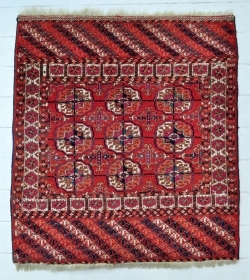 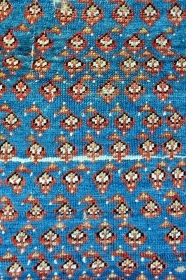 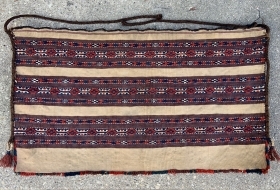 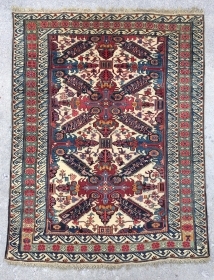 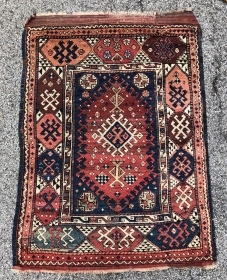 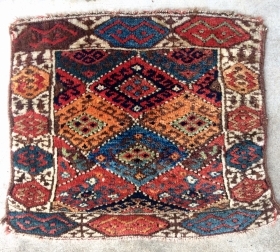 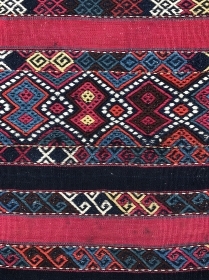 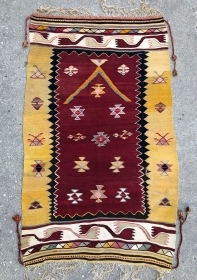 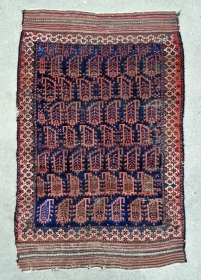 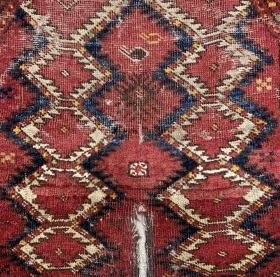 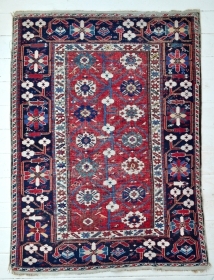 Antique Caucasian Azeri Verneh - 3'6 x 6'0 - 109 x 182 cm. 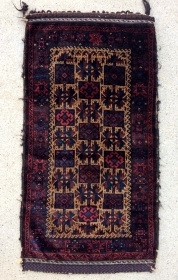 Antique Faraghan rug - 4'5 x 6'10 - 137 x 208 cm. 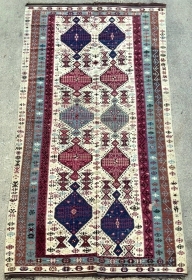 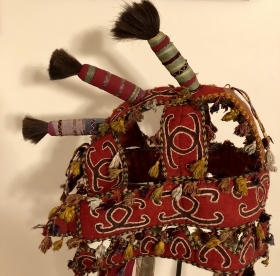 Offered as found! 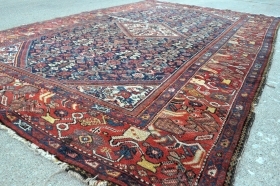 Timuri Baluch rug with great colors, very nice borders and excellent condition - 3'0 x 5'3 - 92 x 162 cm. 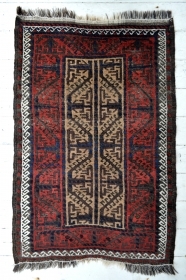 Nice little Baluch rug with fluffy pile - 2’7 x 3’11 – 78 x 120 cm. 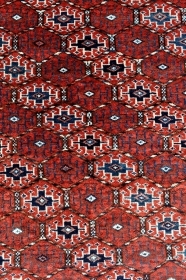 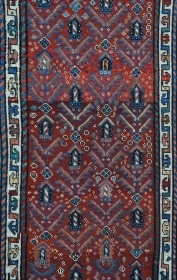 Yomud Main carpet - 5’6 x 7’9 - 171 x 240 cm. 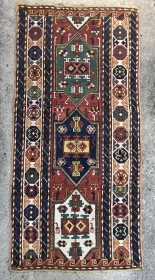 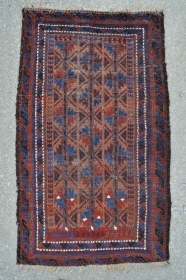 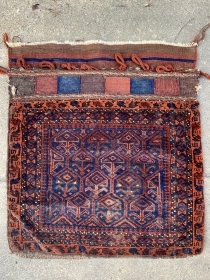 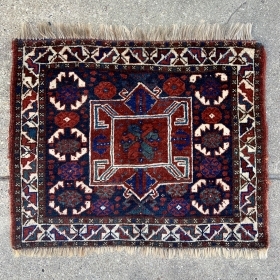 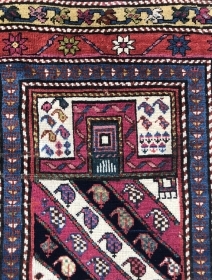 Caucasian Karabagh Prayer rug - 2’9 x 4’7 - 84 x 140 cm. 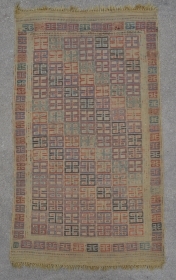 Fine Caucasian Kuba rug in mint condition - 3’8 x 5’0 - 112 x 150 cm. 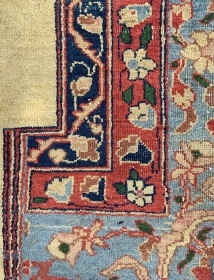 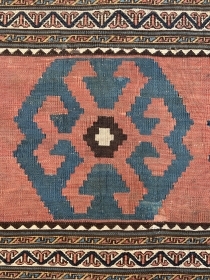 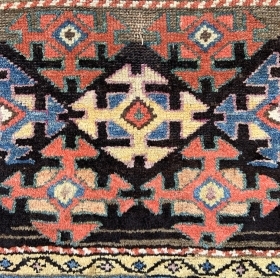 Konaghkent Kuba Caucasian rug - circa 1880 - 4’1 x 5’3 / 124 x 160 cm. 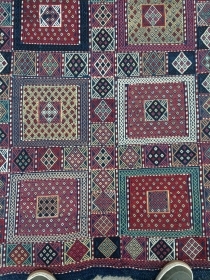 Super fine exceptional Baluch Prayer rug in mint condition! 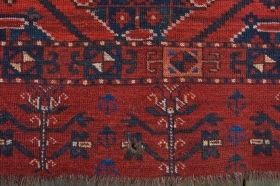 Check out the back! 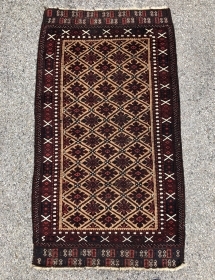 Timuri Baluch rug - 3’9 x 6’6 - 116 x 197 cm. 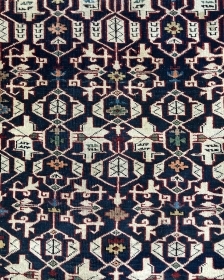 Fragmented 19th century Caucasian rug, undergone triple bypass surgery but retained its soul. 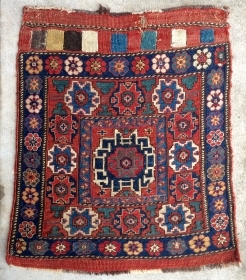 - 2’6 x 5’2 - 77 x 160 cm. 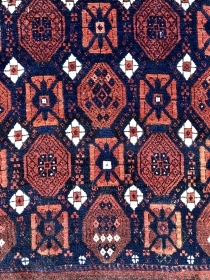 Mushwani Baluch Long rug - about 3'6 x 9' - 110 x 275 cm. 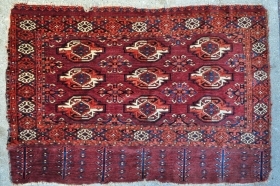 Pair of nw Persian Saddle Bagfaces - 23” x 63” - 58 x 162 cm. 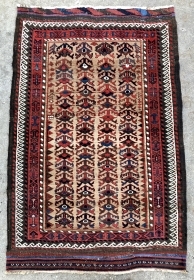 Antique Southeast Anatolian Reyhanli Kilim - 5'7 x 9'8 - 170 x 298 cm. 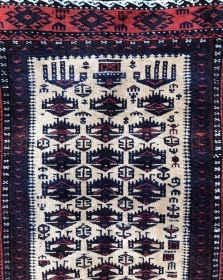 Shahsavan Soumak Bagface - 21" x 24" - 54 x 61 cm. 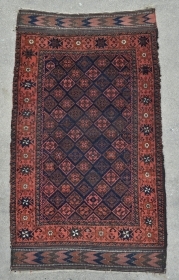 Funky Chunky nw Persian Bagface - 26" x 21" - 66 x 54 cm. 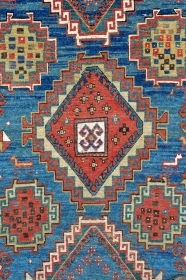 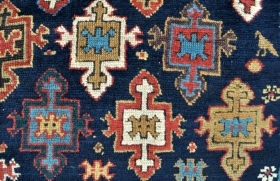 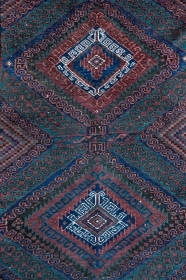 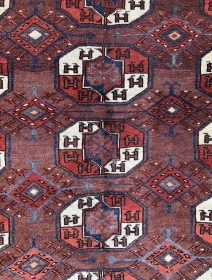 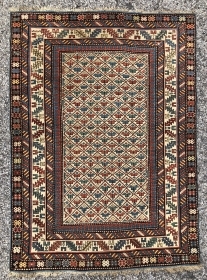 Caucasian Seychur Kuba rug - 4'5 x 5'8 - 135 x 172 cm.